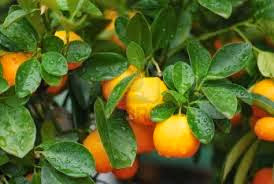 Calamondin – a fantastic dense bush in the citrus family with fruit that makes the best marmalade and candied fruits. Not all of us have acreage and maximizing your garden space can sometimes be a challenge – but also a lot of fun when you let your ideas evolve and then just take off – especially when you realize you can have a hedge and eat it too! Hedges make a softer option to fencing and walls with an infinite number of plants and combinations to choose from that create a beautiful green and productive boundary to your garden. Just think of your hedge as part of your food garden! 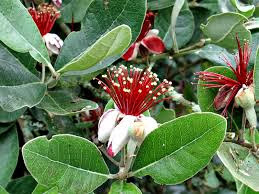 The Feijoa is a very underused hedging plant – it has attractive contrasting silver/grey foliage, beautiful flowers and sweet, tasty fruit. 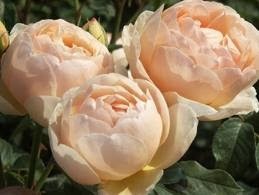 It is also very easy to grow and tolerant of a wide range of conditions. This topic started with a question from a lady browsing my plant stall yesterday “Did I have any hedging plants”? When I discovered that she was living on a suburban block with limited space I suggested that she think about using edible plants for the hedge – well, her face was like a light bulb coming on. After she had said “Well, my husband won’t like it, but I think it’s a wonderful idea” she asked me the loaded question “What do you suggest?”. I hate to think that I may responsible for some local marital rift, but here goes! NOTE: This list is suitable for anyone living in the tropics/sub-tropics. I’m afraid you will have to do your own research for other areas. I have deliberately excluded many plants that may be a wonderful food source but are invasive and can present ‘weed’ problems. 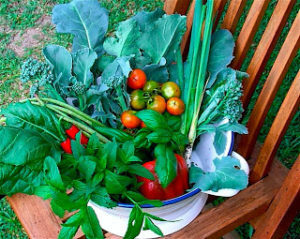 A lot of plants do have the ability to seed/sucker/spread (like elderberry and curry leaf tree) but you just have be a responsible gardener and try and keep it contained within your patch. The Lemon Myrtle (an Australian native) is gaining popularity as a versatile bush tucker plant – I just love to use it for making a very refreshing tea. 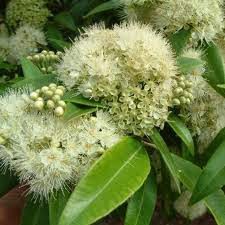 It’s a compact small tree that is ideal for hedging with clouds of creamy-white flowers in early summer. NOTE ABOUT ROSES: I’m a sucker for roses! There is nothing quite like the romance, fragrance and sight of roses blooming in the garden and the delight of a vase of freshly picked roses for the table. Roses for the sub-tropics you might say, but there are plenty of wonderful varieties coming on the market all the time that have been bred for specific conditions. Two David Austin roses meet that criteria Jude the Obscure – a beautiful apricot shrub rose, and Papa Meilland – a wonderful deep crimson tea rose rose, just perfect for making rose petal jam and ice cream. And, don’t forget about the old fashioned rugosa roses for including in your hedge – extremely hardy with wonderful bright red hips for making jams and syrups. A NATIVE HEDGE: There is absolutely no reason why lots of varieties of flowering and fruiting natives cannot be incorporated into your hedge to provide habitat and food source for local fauna. You will just have to consult your native nursery for a complete list of suitable local species. 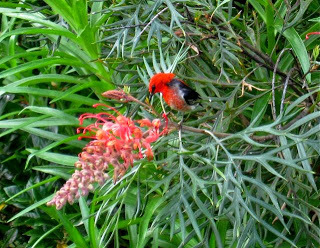 I would not be without the grevilleas, melaleucas, leptospermums, lomandras and hakeas in my garden for attracting the wonderful array of birds that visit daily. 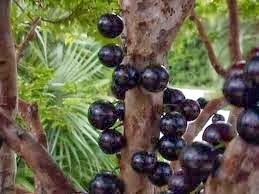 The Australian natives from the list below are the Midyim Berry, Finger Lime, Lemon and Aniseed Myrtles. THE DWARF OPTION: Bear in mind that many of the fruit trees now available for the home garden have been grafted to create dwarf varieties – which means that you can have just about anything you your heart desires! PRUNING AND SHAPING: If you have limited space your hedge will need regular pruning to reduce its width and height – it’s better to start this regime when the plant is young to encourage dense growth. Espalier – or training plants so that they create a vertical flat shape – has long been a method used by gardeners to grow fruit trees and hedges in limited spaces. Plants from the list below that would be suitable are; all the citrus, bay, curry leaf tree, elderberry, feijoa, roses, tea camellia and hibiscus. TALL SKINNIES: These are the plants that don’t take up much room and fit in between other plants; yacon (this dies down in the winter), paw paw, tamarillo, casana and babaco. ASIAN COOKING BORDER (for the semi-shade): This is a useful list as just about everything else requires sun – although I have found that most of the citrus on this list will fruit quite happily with some shade; curry leaf tree, lime, paw paw, galangal, kaffir lime, chilli (taller bushes like long red and lantern chillies) with a front border of turmeric (also dies down in the winter. The value of having your own galangal, turmeric and ginger, for that matter, is that you can pick – or should I say dig – as required. Golly, gosh – I forgot the pineapple Ananas comosus – happily doing its own thing in my Asian food hedgery. 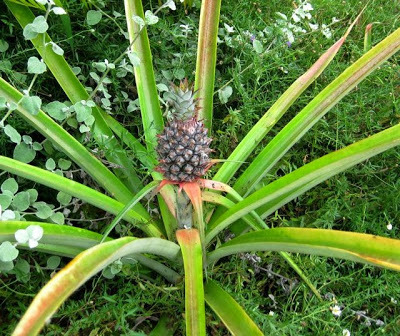 To cultivate, simply plant the green top from the fruit of a pineapple and watch it grow – takes 2-3 years to fruit but is worth it – no pineapple you have ever eaten will taste like a home grown one.